At the Milan fair and beyond, the country’s top designers – including Julien de Smedt, Gauthier Poulain and Alain Berteau – will flaunt their talents. Despite its small size, Belgium has three regional institutions dedicated to fostering and promoting good design. In a collective initiative by 101% Designed in Brussels, WBDM and Design Flanders, two exhibits of products and prototypes will be exhibited in the loggia of Milan’s Pinacoteca di Brera – one of the world’s most prestigious museums, best known for its collection of Renaissance and Baroque paintings by such masters as Raphael, Caravaggio and Tintoretto. 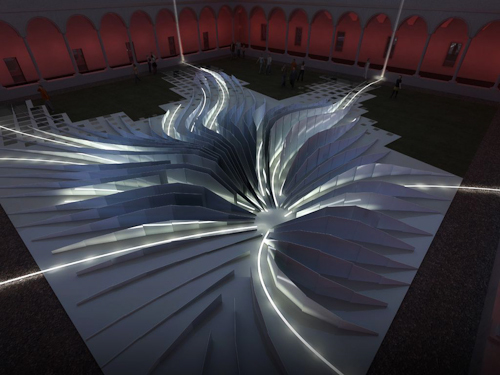 The Belgian show marks the first time that design will be showcased at the palazzo. The presentation will create a link between classical art and modern furnishings and lighting in a scenographic framework of architectural modules by industrial designer Stefan Schöning that’s poised to wow visitors. Meanwhile, Belgian design will also take over a chunk of Salone Satellite at the Milan fairgrounds as well as the enviable locale of Lake Como’s Isola Comacina – a series of villas actually dedicated to the nurturing of cultural interchange between Belgium and Italy. 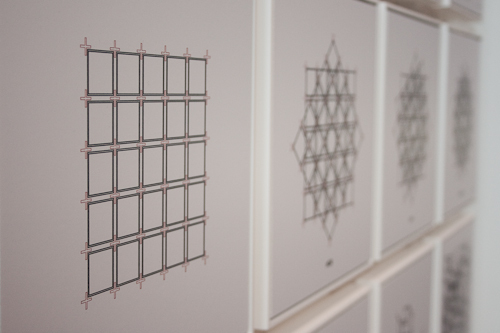 Young designers brimming with promise and innovation are handpicked for the 101% Designed in Brussels annual showcase. This year’s select five – architect Julien de Smedt, furniture designer Benoît Beneufbourg, industrial designers Corentin Dombrecht and Julien Renault and recent ECAL graduate Vanessa Hordies – show their most representative furniture and light fixtures. In honour of the program’s five-year anniversary, a retrospective will show 25 photo portraits of the chosen participants to-date. Meanwhile, the exhibition Lightness explores such notions as physical lightness and a gentle environmental impact and, in a philosophical sense, the folly of design, expressed as the invention of irreverently flexible or modular furniture, textile and lighting solutions. 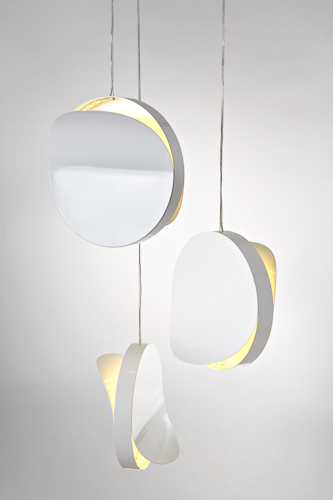 Featuring the works of 21 designers, the curated collection includes Gauthier Poulain’s Wing pendant, a standout design that’s powered by LEDs and is shaped like a disc whose surfaces are peeling away. You can get another fix of Belgian design at the Salone del Mobile’s Rho fairgrounds. In Salone Satellite, WBDM will showcase eight designers from Wallonia and Brussels, including Raphaël Charles, Stuut and Adeline Beaudry. Meanwhile, an unprecedented design initiative takes place at Isola Comacina – the only island in Lake Como – in a move that reinforces the Bergo-Italian cultural institution. The recently renovated Belgian-Italian artists residences designed in 1935 by architect Pietro Lingieri have been refurnished with the works of a fortunate few contemporaries, like Mathieu Lehanneur and Alain Berteau, displayed alongside iconic Belgian classics by Maarten Van Severen and Jules Wabbes. 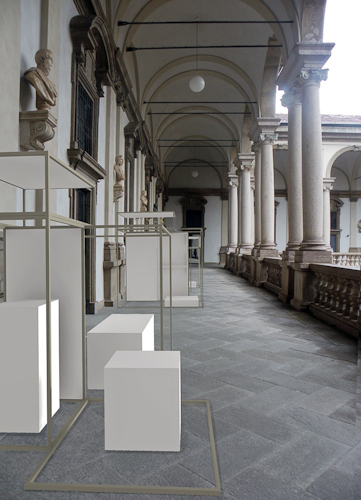 Belgium is Design will be held at FuoriSalone: the Pinacoteca di Brera at Via Brera 28, Milan from April 12 to 17. With two stunning installations – a courtyard sculpture by Zaha Hadid, and a showroom revamp by Diego Grandi – Lea Ceramiche shows off its versatile tiles. This dynamic installation, which transforms the school’s 18th-century courtyard, also demonstrates the architect’s flexible and unconventional use of Lea’s porcelain stoneware. It comprises a vortex of one-metre wide ultra slim (we’re talking three-millimetre thick) Slimtech slabs staggered in ranging heights, up to a maximum of two metres. The lines that create the sinuous form are plotted from the columns of the surrounding buildings; meeting at the centre, the slabs cover nearly the entire 800-metre-square outdoor area. Panels in seven different colours, from milk white to black coffee, bring the 3-D structure to life with constantly shifting shape and colour as they rise and fall. The swirling mass is equally effective at nighttime, when fluorescent light tubes by Artemide uplight the building in punctuated streaks, creating a link between the formal layout of the setting and the flowing lines of the project. 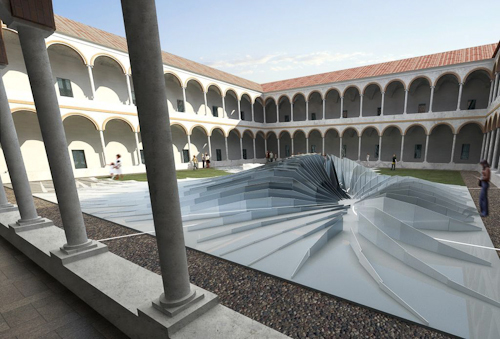 The installation is part of the Interni Mutant Architecture & Design event, featuring nine independent installations throughout the University of Milan’s campus, during Milan Design Week, April 11-17. At the Lea Ceramiche showroom, you can see behind-the-scenes video and photographs of Twirl under construction. The showroom’s interior has been re-conceived by Diego Grandi (a frequent and always imaginative collaborator of the brand), who revamps the Slimtech line in his own curious way. 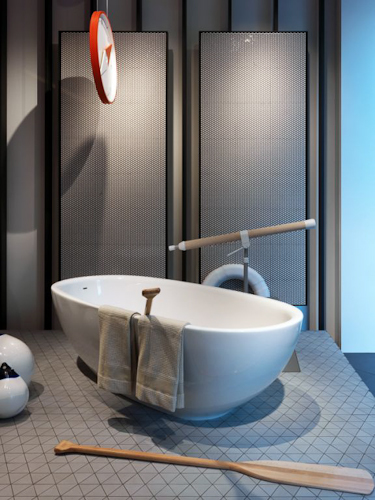 A play on domesticity, Grandi’s concept, “Gita al Faro”, or “To the lighthouse”, ironically interprets the bathroom, combining ceramics and furnishings with a heavy-handed maritime theme. Grandi introduces the Gouache.10 version of Slimtech, lending a new colour range and a soft surface to the razor-thin slabs. Tiles of Deep Sea line the wall while Crystal Water cover the floor, their joints defining a mosaic of triangular elements. Small round non-vitreous ceramic wall tiles from the Paillettes collection are framed in panels on the wall. The Bowl tub and urinals from Ceramica Globo reinforce the spirit of water with geometric forms covered with Gouache.10 tiles in Cool Rain, like rocks submerged in the sea. Nautical furnishings like Galileo’s telescope by Odoardo Fioravanti for Palomar add to the scenery. 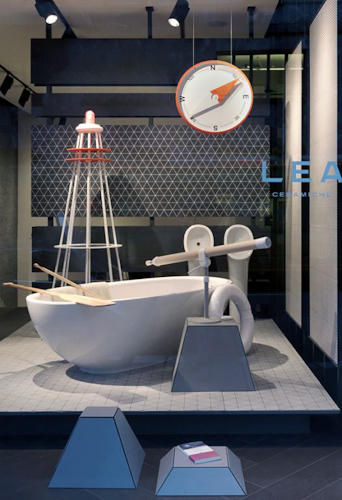 The installation is on view on the ground floor at the Lea Ceramiche Showroom, Via Durini 3, until the first week of April. Lea Ceramiche will be at both Salone for Milan Design Week from April 12-17 and the Coverings expo in Las Vegas from April 21-24. Canadian architect Luigi Ferrara has created an art installation entitled The Open Lattice for Dekla, the exclusive Toronto dealer for Scavolini kitchens. 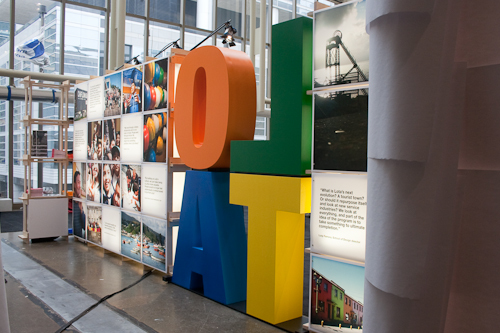 Unveiled during the Interior Design Show, the partition was inspired by the IDS gala theme, “All You Need is Love.” It’s built of acrylic elements using the open lattice system. 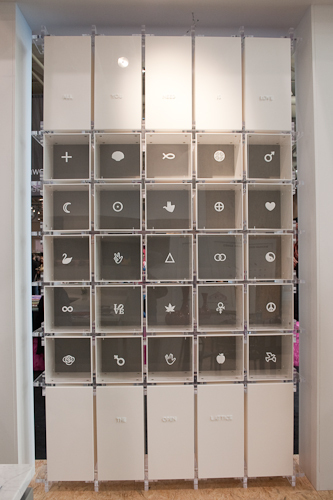 On one side, its 25 panel cabinets feature universal icons of love, while on the other, quotations and graphics in evolving combinations of crosses and squares conjure a meditation on love, belief and time, with a sweep through religion. 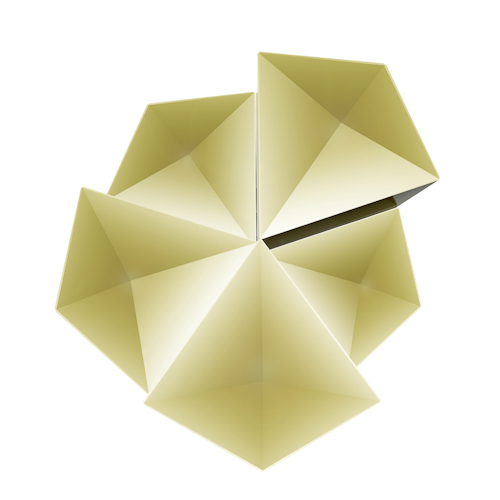 His open lattice structure is based on his theory of scalable interactive modular simulations, or SIMS. This he sees as the future of design. He believes that by giving people the tools to develop furniture to suit their specific needs, they participate in the design process, rather than merely selecting ready-made products and systems. 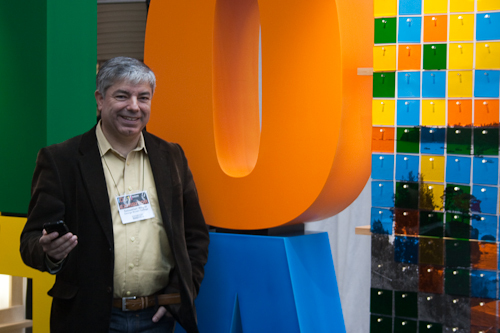 He has created software that is intuitive, with built-in construction parameters; by manipulating it, the end-user customizes and personalizes the design, or ‘co-creates.’ There is an inherent flexibility in the systems – pieces are reusable and can be adapted and rearranged as needs change. The installation has since moved on to the Dekla showroom where it will be on display with samples of SIMS furniture from Ferrara’s Benchmark series launched last year. 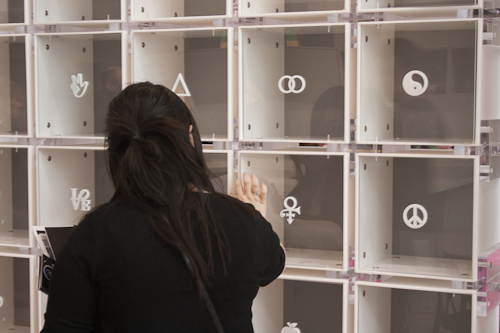 Interactive animations will allow visitors to experience design through the SIMS process. 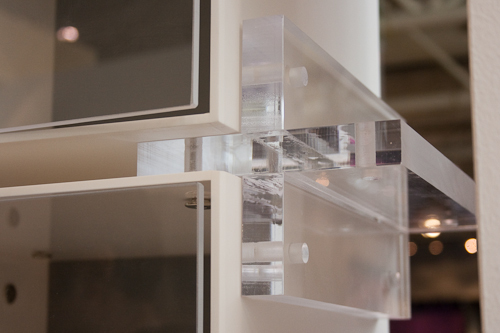 The exhibition at the Dekla showroom, located at 1220 Yonge Street in Toronto, will run until early spring.